Islamabad: Pakistan and China have agreed on the terms of Phase II of the China Pakistan Free Trade Agreement, it has been learnt reliably. According to official documents, the agreed liberalisation level of 90 percent, tariff lines and trade value have been slashed to 75 percent of tariff lines for both countries and some new terms have also been added to the agreement. The CPFTA was signed in November 2006 and became operational in July 2007. The agreement has to be implemented in two stages. It was agreed that by the end of the phase 2, the two sides would liberalise 90 percent of tariff lines and the trade value. The remaining 10 percent were left for the protection of local industry and agricultural produce. Phase 1 was completed in 2012 and the negotiation for the Phase 2, lingered on for almost six years as Pakistan was requesting unilateral market access to Chinese market but Beijing was refusing it arguing there was no such provision in the agreement. The pressure from local industry was also a reason of the delay, who has been claiming that the agreement has destroyed the local industry. The Chinese products become instantly popular in Pakistan due to their cheap price, but when Pakistani products are sent to Chinese market, they are not sold being expensive. High electricity and gas rates and overall higher cost of doing business in Pakistan make its products very uncompetitive in Chinese market. In another blowback to Pakistan, the friendly neighbour, offered similar concessions to ASEAN, as it was offering to Pakistan under CFTA. Pakistan’s exports which have surged from $575 million in 2007-08 to $2.6 billion in 2012-13, declined by almost 40 percent to $1.6 billion in 2016-17. However, Ministry of Commerce and Textile believes that since the initiation of the CPFTA, imports from China rose by $10.5 billion from $ 4 billion in 2007-08 to $14.5 billion in 2016-17. The 40 percent of this increase was registered in products on which either no or little concession was granted by Pakistan. Hence cannot be attributed to FTA. According to official document, out of the remaining 60 percent, majority of imports were in capital goods (58 percent) and intermediate materials (35 percent), which were vital for industrial growth and economic development. Based on the input of stakeholders the already agreed liberalization level of 90 percent, in terms of tariff lines and trade value was strenuously renegotiated and brought down to 75 percent of tariff lines for both countries and 67 percent of trade value for Pakistan and around 90 percent for China. The expanded protection list of 25 percent of tariff lines is more than sufficient to accommodate the concerns of local industry. In order to give further comfort to local manufacturers against any possible injury, the safeguard provision under CPFTA has been revised entirely securing best terms ever extended by China to any FTA partner. Similarly a clause to address balance of payment difficulties which was a miss in the phase 1 has now been included. Regarding the benefits for Pakistan in providing such exemptions, it is apprised that concession being offered by Pakistan are primarily on capital goods, raw materials and intermediate products. The value added products have been placed in sensitive list thereby giving no concessions. The cheaper inputs will greatly benefit the local industry making them more competitive in the international market. On the other hand the concessions being secured by Pakistan are expected to provide a much needed impetus for our exports. 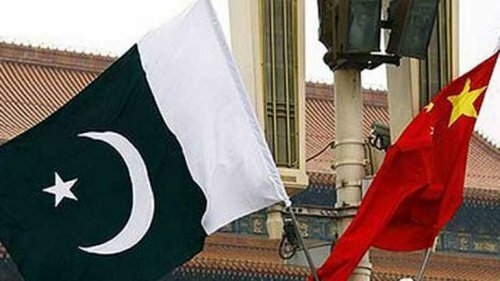 China has already agreed to immediately eliminate tariff on 57 priority export items to Pakistan which cover 67 percent of current exports to China and 32 percent global exports. Chinese global imports in these 57 items are $19 billion out of which $11 billion are being carried out of MFN rate, providing Pakistan competitive edge in the later. An immediate restoration of eroded margin of preferences of securing new market access on priority items would reinvigorate the local industry and spur domestic as well as foreign investment. Furthermore in order to nullify the revenue loss to FBR, China, on Pakistan’s insistence has agreed to real time sharing of trade data through Electronic Data Interchange (EDl) System, the implementation will start by 30th April,2018, the system will curb mis-declaration and under invoicing of good generating substantial additional revenue for the FBR.